This is the next post in my series discussing issues faced by those contracting in Phoenix, Arizona without a valid license. My last article provided an overview of topics I will be discussing in this series and stressed the need to contact an attorney immediately if you find yourself in such a situation. A lawyer can assist you in making sure that you navigate the current situation properly and protect your future career prospects. 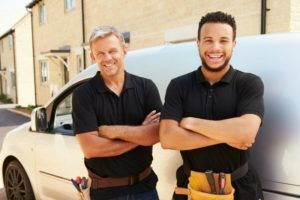 In this article I will be discussing the potential penalties and fines one faces for working as an unlicensed contractor. Arizona is like virtually every other state in that it requires construction contractors (even on a small project like the repair of someone’s home) to have a license. One faces both criminal and civil penalties if they violate these laws. Performing work without a license can result in a Class 1 Misdemeanor. This charge will carry a sentence of up to six months in jail and a $2,500 fine. A defendant may also have to pay all taxes associated with the money they were paid for the work even though they would have to refund the money they were paid to the victim. A defendant will also face civil penalties. Under ARS 44-1531 one may be found liable for having committed consumer fraud and, if the Attorney General chooses to pursue the matter, a person could be fined up to $10,000 for each act of illegal contracting. It goes without saying that, for many, these penalties will have a severe impact on life. It is also important to understand that you can be denied a license for even bidding on a job; one does not have to actually perform the work in order to be considered in the act of “contracting without a license.” Under ARS 32-1123 a person will be prohibited from gaining a contracting license for up to one year if they illegally bid on any contract with a value greater than $1,000. Civil and criminal penalties, such as the type I have discussed so far, would be non-dischargeable in bankruptcy. If you are convicted of contracting without a license then there will be additional consequences in addition to potential jail time and fines. You will also have a permanent criminal record. This will make it more difficult to apply for jobs, to apply for other professional licenses, to obtain housing, or to pass a background check. Many make the mistake of thinking that performing work for others, without a license, is “no big deal.” It is important to understand that such allegations can have a serious impact on your life. Contact my office today to speak with a Phoenix criminal defense attorney if you have been charged as an unlicensed contractor. In addition to handling criminal matters, I also assist residents of our area with defending their professional licenses. I also service Maricopa County areas such as Mesa, Glendale, Scottsdale, Chandler, and Gilbert as well as Pima County residents in Tucson.